Remember all those times I told you how much we love the Minions and the Despicable Me movies? Well, if not, here’s a reminder, LOL!! But, seriously, the nights I treasure the most are the quite ones where everyone is home with me and we just have a lazy night at home. Pop some popcorn, keep some cozy PJs, crawl under the covers (it’s a tight squeeze for all 5 of us, but I’ll take it), and turn on a funny, cute, family friendly movie. It’s just perfect for me, and I can’t get enough. As much as I love movie time, we also love to do fun things together as a family, especially since it’s Christmas time!! It’s the most wonderful time of the year, right?? Arts and crafts are a favorite for everyone, especially for Natalie and especially during this time of year. She’s a real artist, and she’s get at getting the boys excited and involved, too! 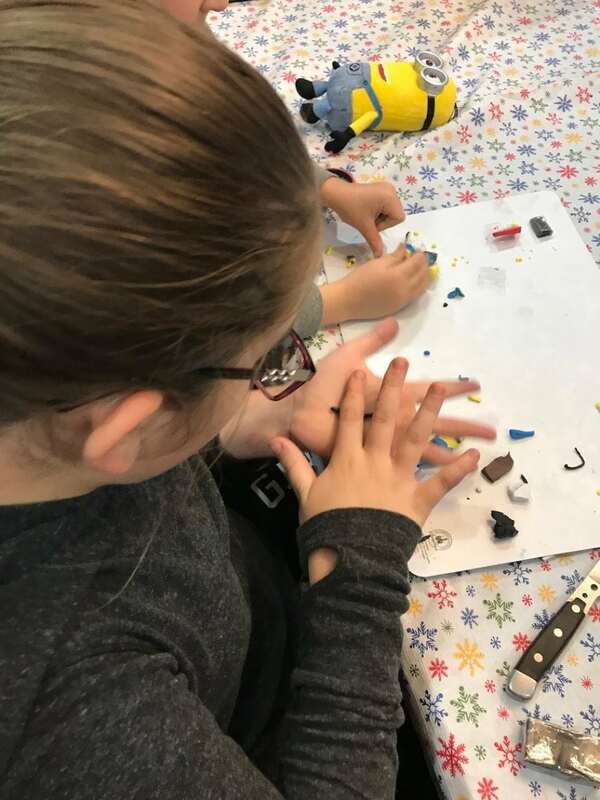 I am always on the lookout for great new craft ideas and our latest inspiration was one that was super fun involving none other than my favorites, the Minions!! 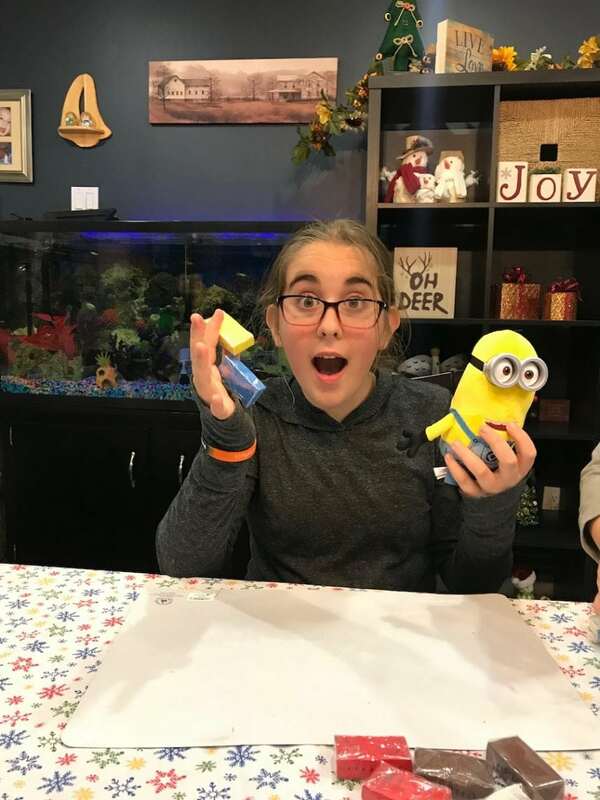 Natalie and I brainstormed and just came up with the idea to create some really sweet Minion clay figures, and the family was hooked! It was family crafting time!! There are so many clays that can be used, so that’s really up to you. Natalie is a bit fan of molding clay that can be baked in the over to harden. 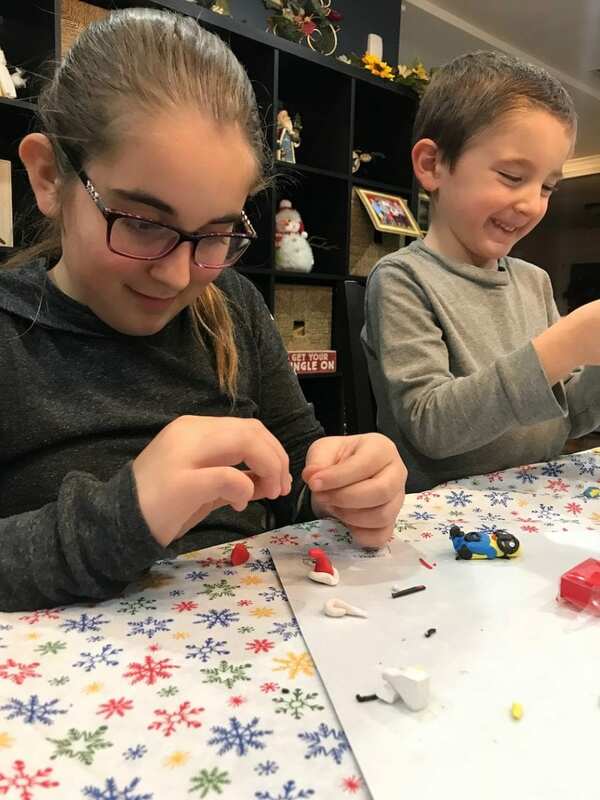 She loves to create great little figures and save them as a remembrance of the fun she had. I love it when she does that. So we started with a 6 color pack which, of course, included a lot of yellow! Once you get the hang of using clay, it’s pretty simple. Just print out a good image of what you want to create then get to cutting and shaping! Start off with a nice yellow oval body, then layer on the blue for the pants and suspenders. Take you time and don’t rush. You may have to do it a couple of times before it’s the way you want it to look. Natalie is very experienced and good at using clay, so she uses a knife, but use whatever your child and you are comfortable with. Create the legs and the shoes and the eyes. Be gentle when you place the parts on the main body. Press firmly to make them connect and stick, but don’t go crazy! Once the Minion is ready to go, it’s time to add that Christmas flair to it! Natalie created a Santa hat for her Minion to wear!!! I love it and really think it came out great. Such a festive way to incorporate one of our favorites into the holiday season fun!!! The craft was a major success for the whole family and I had a great time, too! 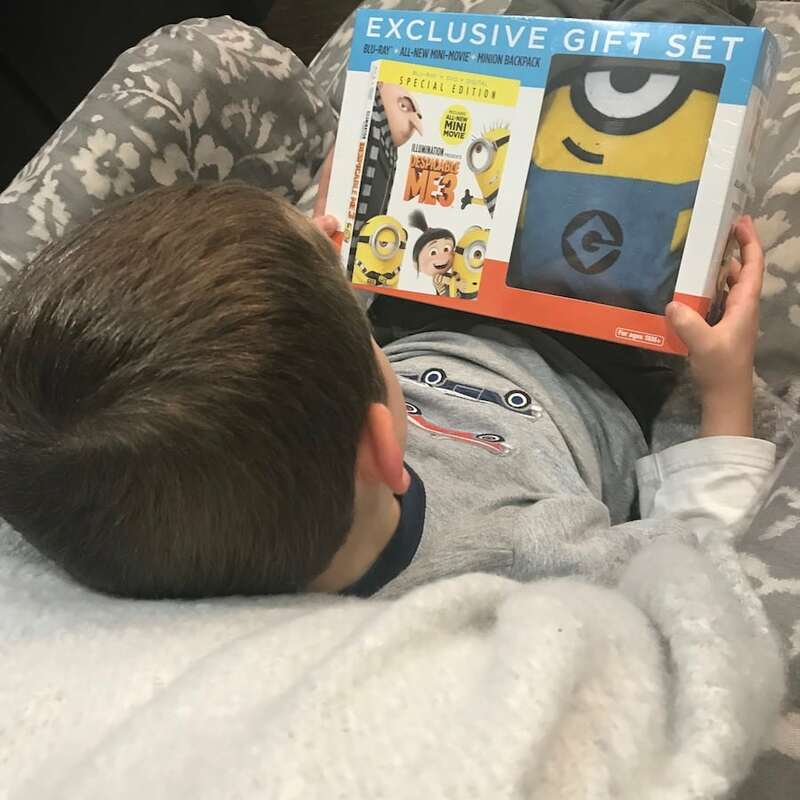 That night, we tucked into bed and watched Despicable Me 3 until it was time for bed. It was really a fantastic day. If you wanted to bring home some of that craft and movie magic, you can!!! The #1 animated comedy of the year, Despicable Me 3 Special Edition, is now available on Blu-ray & DVD!! 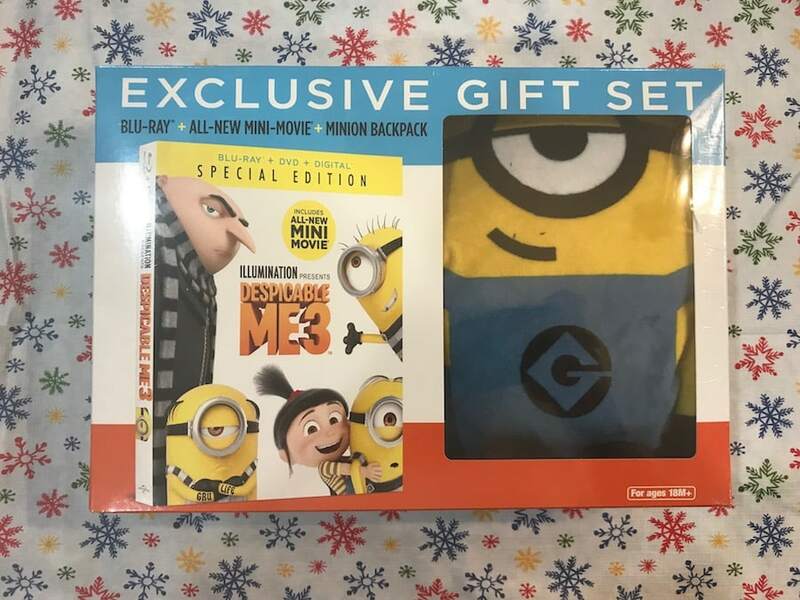 The Despicable Me 3 Special Edition Walmart Exclusive Version is the ultimate holiday gift with an All-New Mini Movie, Minion Moments and a limited time gift set with a super soft, PLUSH Minion backpack!!! Love it so much, don’t you??? Isn’t it time to get into the spirit now? I’d say so!!! It’s the holiday season and what better way to spread glad tidings of joy than with the characters beloved by everyone – Gru, his wife Lucy, their three adorable daughters—Margo, Edith and Agnes—and the Minions!?!?! There are hours of family fun in this heartwarming comedy. Those clay minions are just the cutest things ever! Looks like your kids had a blast. 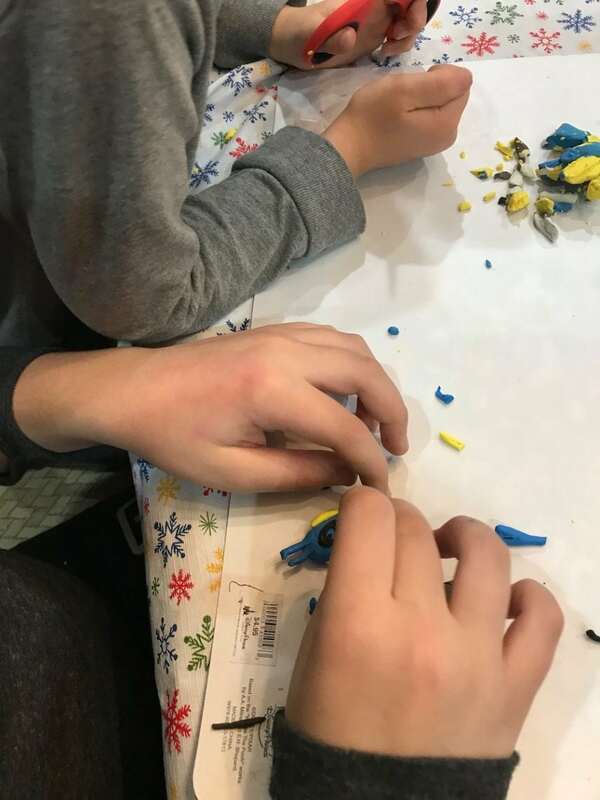 I loved playing with clay when I was a child and I know that my kids will love it now! Thanks for the great idea! I love the Minions and the Despicable Me movies! 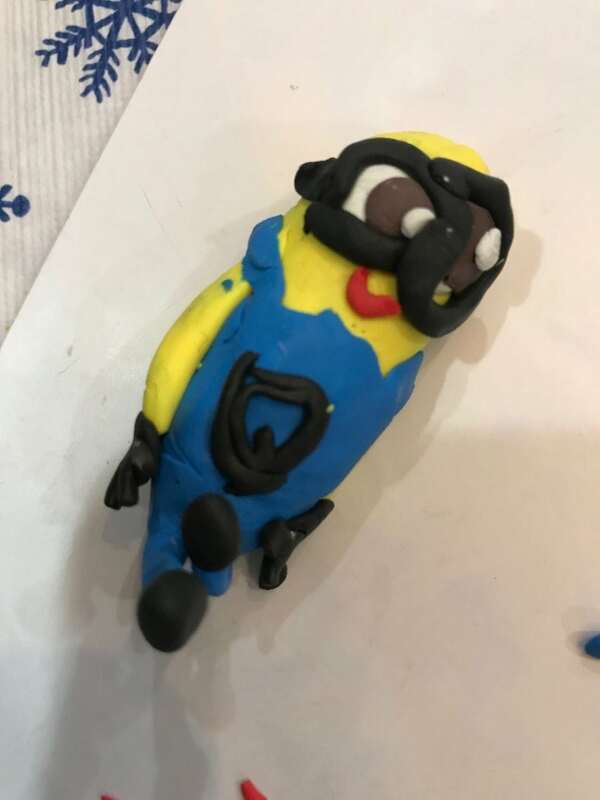 This clay minion craft is really cool. A really simple craft, that looks like a lot of fun. I love that she used a little stuffed model! We love the entire Despicable me/minion collection! What a fun activity for the whole family! I love playing with clay even as an adult and my young adult kids still do too! We used to have so much fun crafting. I know my daughter loves the minions so we need to get this! Too cute and what a fun thing to do for the kids. My boy and I can’t wait to watch the new Minions movie. 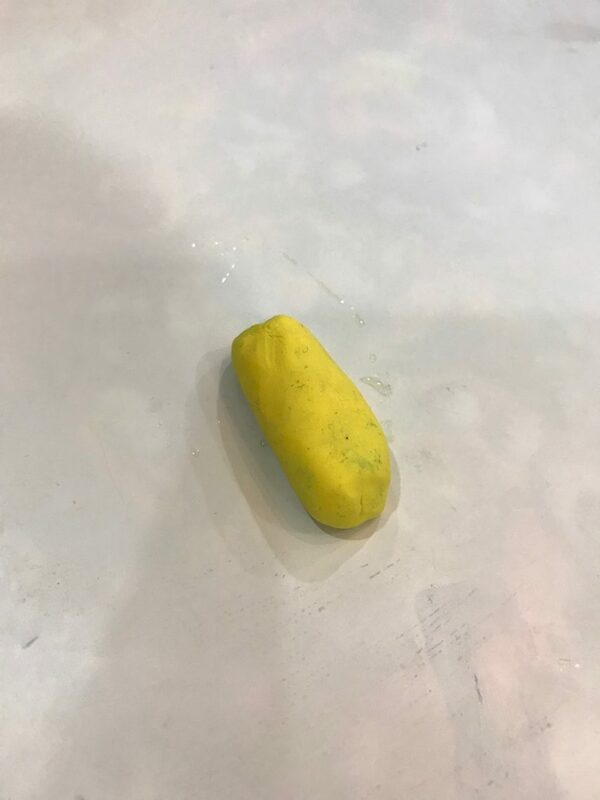 He would so love to make this with playdough. This is so cute, kids look like they are having fun. This activity and creativity enhances their left hemisphere brain and will sure j=help them perform well at school. My daughter has been loving air modeling clay recently. She loves to get creative and make fun things with it. I’ll share this project with her for sure. I haven’t had a chance to see Despicable Me 3 yet, but I’ll have to rent it soon. These movies are always so cute! Cute craft, my kids would have fun making minions. So cute! My little minions would love this craft. They love the movie too!